Free shuttle service to the near-by Auraria campus and downtown. Easy access to city attractions. Near rail and bus lines. Colfax at Auraria and 10th and Osage Light Rail stops are less than a mile away! 1 Block from Cherry Creek bike path, the Santa Fe Art District and a 10 min walk to the downtown. Grocery store a few blocks away. Townhome residents are professionals and very friendly. HOA Fee $297.47 per month includes Common Area Grounds Maintenance, Community Pool, Fitness Facility, Outdoor Hot Tub, Shuttle Available. You will find considerate and welcoming neighbors when you buy a Parkway townhouse. This townhouse is perfect for the first time home buyer, or as an investment rental. 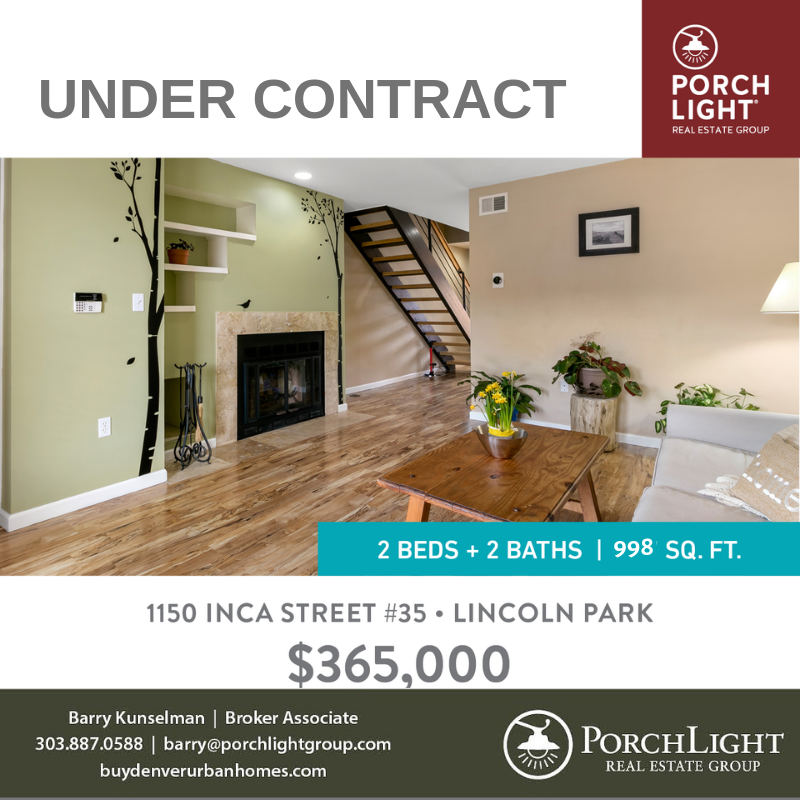 To potential buyers of this townhome in Lincoln Park please email me Barry@porchlightgroup.com or call me at 303-887-0588 for more information. Are Metro Denver’s Home Prices Overvalued? Vacation Home: Rent or Buy? Can A Discount Broker Really Save You Money?